Then you’ll love actionable tips in this guide. “During the first days of my business, I knew nothing but the basics. That being said, ‘CRM software’ was pretty much foreign language. I thought making sales using the traditional way was enough, and that technology didn’t have to play a role. Like what Sir John Egan said, your main goal should be to ‘make money out of satisfying customers’. Then one day, I tried CRM – and my life has never been the same. The process got simpler in an instant. Keeping track of everything was a piece of cake. Well, at first it wasn’t – you’ve got to remember the learning curve – but afterwards things ran smooth and steady. At age 20, Laura Roeder graduated with an Advertising degree from the University of Texas. She first worked for a marketing agency as a designer but decided to go build her own one-woman design business. She was at first able to manage her business, but later on, she felt she had to reach out to more clients. She transitioned to social media consulting after moving to Venice, California – and there, she made use of what she knew. The difference was, she didn’t talk to clients – she talked to video cameras. She didn’t go for “in-person sessions” as she chose to have ready-made videos that can be watched at anyone’s convenience. It would have been easy for Laura: she had systems for contact management and email marketing, and a system dedicated for online sales. She herself didn’t have issues with the systems – the systems were the ones that had issues among themselves. That’s when Infusionsoft now known as Keap came in. Keap made Laura’s life easier. Content relevancy has increased and sending email has gone faster. Clients receive only the information they need. Keap makes webinars “turn subscribers into customers”. Instead of trying to make systems work, she has been able to focus on the days to come. From a $100,000 annual revenue, it has now reached around $800,000; her customer base has increased as well. Reaping the benefits, definitely, is Laura’s business, as it continues to grow… with no signs of slowing down. If you need something to bring in more sales to your business, then CRM software is what you require. It serves as a lead magnet drawing in quality clients, hence, resulting to higher conversions. Let’s discuss this even further by talking about seven supporting factors as to how CRM can bring in more revenue for your business. CRM software’s earlier models may have been “bare bones to a fault”, but it ended up being a strength rather than a weakness. Well, it’s what customers are looking for – after all, they’ve got a lot of things to worry about other than dealing with their software. There are six components of a CRM system, according to SJ Innovation. It may seem like a handful, but every component is vital for the system to be effective. As long as all components are fulfilled, then you may not need to add anything else. Wish to add more to your CRM system? Go ahead, as long as it doesn’t make you lose focus on your goal, which is to gain more sales from happy customers. As long as your clients keep coming back with only positive stories to share, then that’s when you can say you’ve nailed customer experience. For a good customer relationship management software to be known, it ideally should have a viral distribution channel. Potential users should be enticed to use it, and should have easy access to the software. Since software-as-a-service don’t require a complicated set-up process, then it can be offered for free, or at least with a free trial version. Having a viral distribution channel will make it easier for you to promote a product. Clients will be less hesitant to try it, and once they’ve proven how it’ll work well for them, then a complete purchase will immediately follow. Satisfied clients may also share their positive experiences with your product in social media. More people will be aware of your product and will be enticed to try it out. If they liked it, then they’ll tell everyone how they’ve been pleased with your product. Word-of-mouth, is a reliable method of promotion that can spread so fast, so be careful that your clients only have good words to say about you. There’s no single customer relationship-focusing software on the market, especially those functioning as a SaaS (software as a service). You’d find a lot of competition and even think that some of them might be better than yours. Do you try to eliminate every competitor? Instead of being hostile towards these companies, why not use it to your advantage? You can create a platform wherein other developers can come up with applications that work with yours, leading to a win-win situation for both companies. By technically widening your scope, you end up attracting more customers to your product. You get to have a bigger market – more people get to appreciate the services you offer. The earlier point discussed how you should enjoy having competitors and even find ways to work for them. But then, there’s a limit on when you should stop nurturing these competitors, and battle them instead. If there’s a company that seems to stop your growth, then shift strategies. Instead of creating solutions that work with those of other companies, you can try to create ones that address the limitations of what they currently have. Come up with new tools, or improve your own. Aside from enhancing your current tools and technologies, you should also continue adding new ones to be at par with major firms. One good example is Etsy an eCommerce platform for unique gifts for everyone. The company understands how its visitors tend to explore and “roam around” as they buy their targeted items. To address this, Etsy tries to present products not only functional, but also interesting. They wish to make the products resonate with their clients, hence personalizing the shopping experience. After performing data analytics, the engagement for users (on the website and on the mobile app) jumped. This is because consumers have found products that reflect their interests and personalities. If you’ve developed your own software for customer relations, then it might be a good idea to come up with your own App Store (or Play Store, if you’re more familiar with Android). You can build a community for third-party software developers wherein they can share their own applications, as well as offer their services to fellow members of the community. With this step, you gain access not only to applications you want and require, but also to a helpful community that can provide assistance whenever possible. You’d think you don’t have to, but you’ll realize it’s worth it upon taking advantage of its benefits. What you have right now may work for you, but that doesn’t mean you will no longer try to make them better. Never be complacent with your CRM efforts – every now and then, there’ll be competitors hoping to take your business down. Understand the value it brings to the company. a. Trying out international markets – Understandably, you’d first launch your products and services in the US, but once the quality is proven, you can expand out of the country and sell your services to a different market. Of course though, that move comes with its own unique challenges. b. Offer something new – Learn about and offer unique products, such as those that have only been recently gaining popularity. Doing so will attract more customers to your list. Despite the research and risk-taking involved, you’re likely to benefit from this course of action. Other SMBs (small-to-medium businesses) aren’t too keen on the idea of relying on a CRM system as doing so appears complicated. It’s often thought of as an enterprise tool – and clearly, that notion only limits opportunities for smaller companies. Insightly, a customer management program, has achieved a good enough user base. They weren’t contented with the numbers; they wanted to make sure these people understood the value they were getting. The results? Impressive customer retention numbers and high customer satisfaction rates. Maintaining a good client relationship management software is an established way of achieving stable growth for a company. Once it becomes a core part of the overall structure, it creates a positive effect – you’ll not only attract new customers but also better serve existing ones. Your business is there simply because of your customers. Whether you like it or not, your customer’s experience will be a huge part of how you will manage your business, and that includes the decisions you will make involving it. How will you create and improve your product? It’ll all depend on the clients’ reception. Prior to purchasing a product and/or service, what questions do they have in mind? It’s also important to understand their choices. You might wonder why they choose to go for the competitor. This time, it’s your turn to ask the questions: what does the consumers get from the other brand, what value do they get, and other related questions. Take Dollarshaveclub.com, for example. Its startup video was believed to be the most successful ever, as it has reached around 18 million views. Other companies would have been contented, thinking that they’ve made their mark on the audience. The company’s SVP, Janet Song, however, doesn’t want to rely on the said achievement. Instead, it made use of technology by integrating what they referred to as the company’s “in-house CRM, customer service platform, and data analytics” for a better customer service experience. Today, they have around 1.5 million subscribers – not just happy clients, but also with a good relationship with their favored brand. CRM’s main goal is simple: to bring in more revenue. This could be the main reason why in big companies, it’s the sales department that handles CRM software. You know how salespeople go – they’re willing to try out even new technologies if they’re promising enough in bringing in more revenue. Once proven effective, CRM system will be an asset in a company. CRM helps in keeping track of customers’ accounts and contact information, as well as both leads and sales in a sole location – that’s why it proves to be a critical factor in an organization’s workflow. Business owners also prefer a web-based CRM – running on cloud software – to make information more accessible regardless of location. Why make it simple if you can make it grand? Well, again, it’s all about higher sales. With the best CRM software, you gain access to good lead generation tools, as well as tools for sales automation. With this, your sales pipeline will mostly have potential customers all throughout. The most important thing to know about CRM is that it’s only a tool to support your sales process. CRM is not a strategy, CRM is not a competitive advantage – It simply makes your sales force’s activities more transparent, reportable, and manageable. Before you implement any technology, make sure you understand what you want your salespeople to do – in other words, how your salespeople will succeed. Then wrap CRM around that. You’ll be much less frustrated by the technology, and your effectiveness as a leader will be dramatically improved. Attempting to run a small business without an efficient CRM package is like trying to drive an automobile without a steering wheel. You cannot hope to control external events if you do not have control internally – CRM brings you that. It is the process element in my commercial success formula: Attitude + Skills + Process + Knowledge = Success. For Small businesses, CRM will help with two crucial things; it will ensure that the entire team has access to the latest on each contact and account, and it will help you stay organized. Can it also help you close more sales? Yes, for the simple reason that it’s harder to drop balls when you have a good system in place to track deals and activities. CRM is no longer just a database. Sophisticated add-ons can finally help salespeople actually make sales. ActiveCampaign’s CRM is unique in that it’s so closely tied to our automation workflow builder. Besides allowing you to automate many routine tasks, this tight integration allows you to blend your marketing and sales processes so that they work together seamlessly. When your marketing automation finds a qualified lead, it can automatically trigger your sales process by creating a new deal record, notifying the sales person it’d be a good time to reach out, and even begin the process with an automated email inviting them to schedule a call, demo, or consultation. Basically, our CRM allows you to find the perfect balance between automation and human touch. The #1 sales problem with entrepreneurs and the people who sell for them is disorganization. Picking a simple CRM or sales application, and committing the time to USE it, can be the difference between creating uncertain and predictable revenue. It is a single place to keep customer or prospect contact information and notes that you collect over time. Too many notes are lost because they’re not recorded, and let’s face it, we can’t remember everything! It gives you the ability to have reminders as to when you need to reach out to someone. We all know the importance of keeping in touch with people, but too many times we fail to do so because the phone number and other critical information we need isn’t readily available. 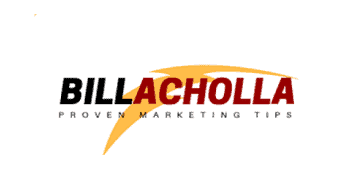 It is a platform you can use to send out regular marketing updates. This one is so easy, but it gets lost due to everything else we have to do. Having an automated system that can send out a newsletter or other insights on a regular basis can go a long way in keeping our name in front of customers. To cut things short, Keap CRM software is what you need for your startup. Small business owners already have a lot to manage; why not go for something that makes everything easier? Entering the CRM world may be nerve-wracking – after all, you’re moving into unfamiliar territory – but believe us when we tell you you’ll get there. Besides, the tools are easy enough for beginners so you’ll pretty much get the hang of it – you’ll be an expert before you know it. Don’t miss out on the promising things CRM has to offer. What are you waiting for? The sooner you try Keap CRM firsthand, the faster the benefits will take effect on your business. Go ahead; take the first step and get your own CRM system for your small business today. Now that you’ve seen how to close more deals with a CRM software? What do you think of a CRM?